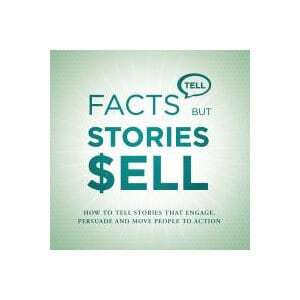 The Facts Tell, Stories Sell video training program will be delivered in 4 modules online. This course is designed to teach storytelling for anyone involved in speaking, selling, leading or teaching. While there are many areas of communication, stories are the most influential part of communication because they engage emotion in people that causes them to remember your point, buy your product, and take action on your vision. These four hours of video will teach storytelling in a more complete way than has ever been taught. If you want to be a more influential communicator – then you need to learn the most influential form of communication. As a storyteller myself, and a public speaking coach – I can tell that Ty program is one of the most practical, if not the most practical program on the internet covering the topic of storytelling and public speaking. I read lots of books and watched a lot of online videos about the topic, and every time I measured the time I invested into the learning process verses the new things I’ve learned – I felt unsatisfied! Ty offers an almost 4 hours of training that will instantly enhance your skills, no matter your starting point! Each lesson has lots of new insights and tips that will take you to the next level as a public speaker or a coach. The only down side I found regarding the program is the video quality itself. Now, in 2018, our eyes already got used to Full HD / 4K video, so it was a bit off to watch videos that are not standing at that standard (even thought it’s clear the videos have been recorded few years ago). Besides that, I found the program enlightening and interesting to watch. I would recommend anyone that is looking to improve their storytelling skills to invest the time and money into the program – because it’s an investment that will return itself every time you’ll use its tool sets.